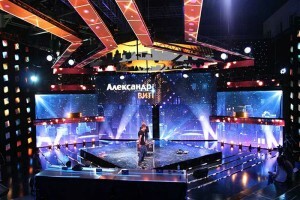 The third season of popular Belarus talent show, Poyushchie Goroda (Singing Cities) commenced with a five-day casting period — one for each region of Belarus — and PR Lighting’s increasingly popular XLED 336s were pressed into service by lighting designer Ilya Piotrovsky, of Blackout Studio. Blackout forms part of FE Belimlight, PR Lighting’s territorial distributors, and the LD stated: “We have worked in close cooperation with TV channel STV and have put much effort into this event to deliver a unique design. 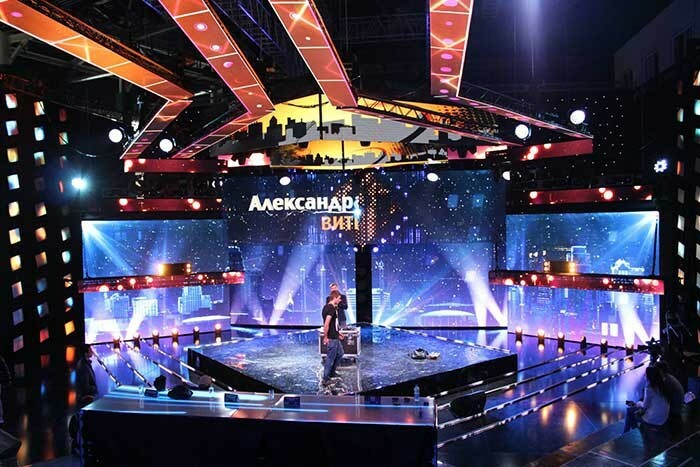 Piotrovsky, a long-time advocate of PR Lighting’s discharge fixtures, this time turned to around 40 of the company’s new generation XLED 336 LED effects. Featuring 36 x 3W RGB LEDs, the fixture is a remarkably small, super bright, compact moving head, with low power consumption, an amazingly bright beam and rapid and quiet movement — ideal for television and studio broadcasts of this nature. 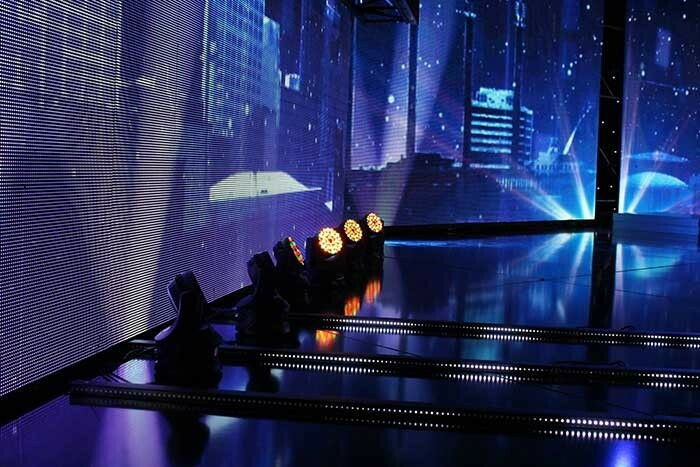 In this instance, most of the XLED336s were mounted on a square construction around the Sunstrips screen, while the other fixtures were placed on the floor and on the moving rig construction. “We find these perfect for versatile mounting in confined spaces — plus the reliability of the fixtures is very good,” he concluded.